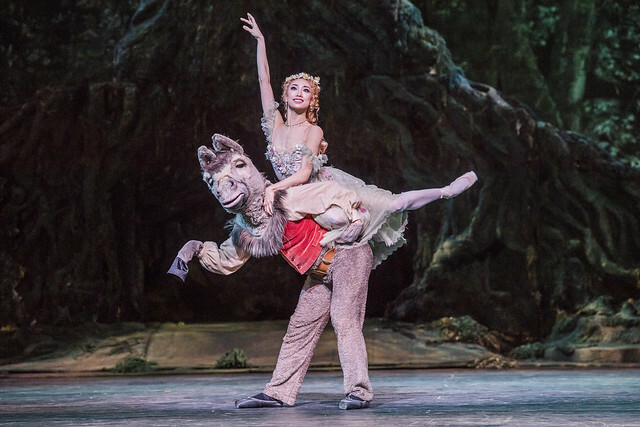 The enchanted world of Shakespeare’s A Midsummer Night’s Dream has inspired countless artists over the centuries, but one of its characters in particular has led to some highly creative responses. Deep in the magical forest, a villager, Bottom, is transformed into a donkey. Mendelssohn, in his music to accompany the play, depicts him with a sudden, jolting musical motif that seems to bray, just like a farmyard animal. And in Frederick Ashton’s ballet adaptation The Dream (which uses Mendelssohn’s score), the choreographer comes up with an even more remarkable way to illustrate the character: Bottom – a man – goes on pointe. ‘I think that this was probably the first time that a man had gone on pointe’, says Principal Guest Ballet Master Christopher Carr, who teaches the role. 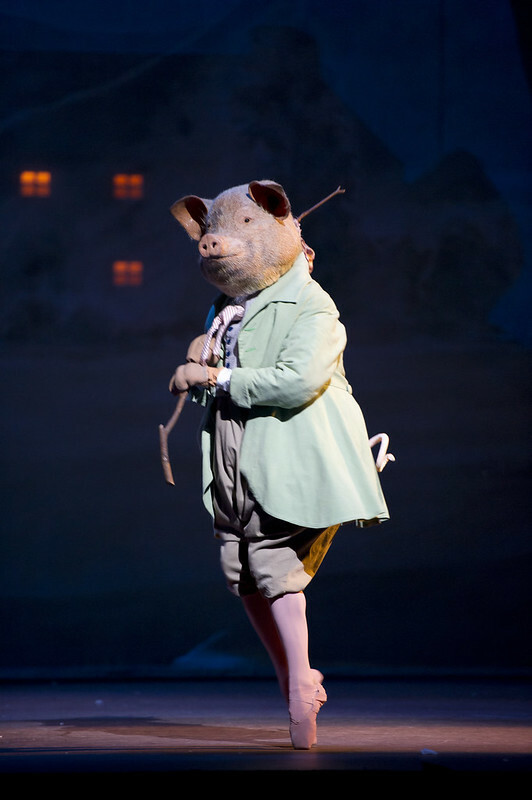 ‘It was done to represent hooves, and it’s very effective.’ Ashton returned to the effect a few years later, when he choreographed The Tales of Beatrix Potter (a film made in 1970, adapted for the stage in 1992), in which several male pigs, as well as the soloist playing Pigling Bland, go on pointe to evoke trotters. Howells and Bennet Gartside have both been dancing the role for some fifteen years, and have grown accustomed to its challenges. But the preparation work that goes into each performance remains unique for male dancers. ‘I take more time preparing my feet for it than I do in the shoes’, says Thomas Whitehead, performing Bottom this year for the second time. Whitehead tapes up every toe individually and adds multiple further layers between his foot and the shoe in order to soften the blow. Despite all these demands, the role of Bottom is not just about pointework. This is also a role that requires experience as a character actor – especially later on, when the spell has been broken and the confused Bottom attempts to recall the strange events he has experienced. Carr describes this as ‘a very difficult mime sequence which needs a lot of artistry and a lot of experience’. This makes the role tough to cast – acting ability is just as important as having the strong ankles and pliable feet needed for pointework. 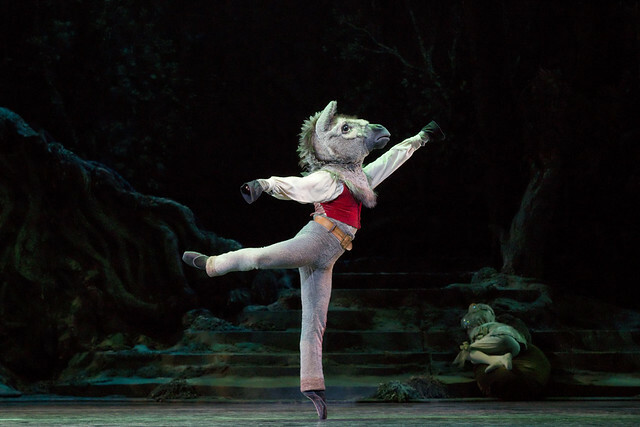 Howells adds that the mask makes the section on pointe even harder from an acting perspective: ‘you are acting it underneath the mask as well’, he says – with the face obscured, all the nuance has to come through the body. The Dream runs until 10 June 2017 in a mixed programme with Symphonic Variations and Marguerite and Armand. Bennet, a good thing you do not have to smile ! !